Last year, in "Setting the stage for the Purple Line light rail line to be an overwhelming success Part 1 | simultaneously introduce improvements to other elements of the transit network" and "Using the Silver Line as the priming event, what would a transit network improvement program look like for NoVA?" I argued that we could do a lot better in leveraging big investments in new transit investment to drive complementary improvements across the transit network as well as other economic development initiatives. Paul Meissner created a "fantasy map" illustrating some of these ideas. 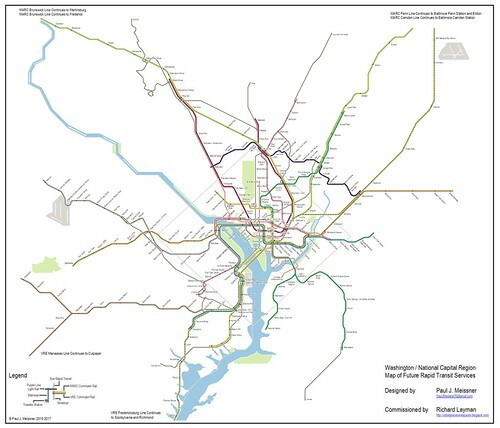 Conceptual Future integrated rail transit service network for the Washington DC National Capitol Region. Design by Paul J. Meissner. Concept by Richard Layman and Paul Meissner. But to achieve something like that requires purposive and simultaneous planning, as a form of what I am now calling "Transformational Projects Action Planning" ("Why can't the "Bilbao Effect" be reproduced? | Bilbao as an example of Transformational Projects Action Planning." Given the talk that Amazon will open a new headquarters campus in Crystal City, I'd argue that this should be used to drive other improvements, not just within Arlington specifically, but across the metropolitan area. Although while the economic development impact will be big, it's not so huge that it can "change everything," especially through trickle down effects. Think of Amazon's coming as a priming event, more as an excuse to be visionary and do some good things in a complementary way. Part 2, this piece, briefly outlines economic development opportunities, and Part 3 focuses on transit network improvements. 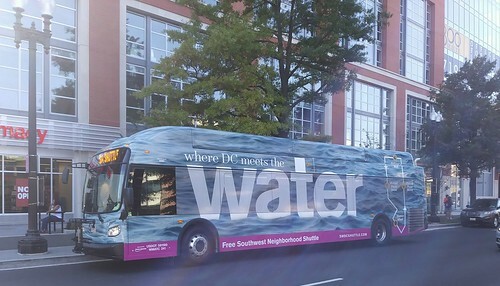 In the Purple Line series, articles on New Carrollton ("Part 4 | Making over New Carrollton as a transit-centric urban center and Prince George's County's "New Downtown"") and Silver Spring ("PL #5: Creating a Silver Spring "Sustainable Mobility District | Part 1: Setting the stage") discussed how the Purple Line light rail program could be leveraged to drive neighborhood and commercial district revitalization in those communities. While Arlington has been doing pretty well for years because of its embrace of transit oriented development, particularly in the Rosslyn-Ballston Corridor, it is facing budget issues ("Arlington manager warns of higher taxes, more service cuts," Washington Post) because of high commercial vacancy and competition from nearby submarkets in Alexandria and Fairfax County that have lower cost property. 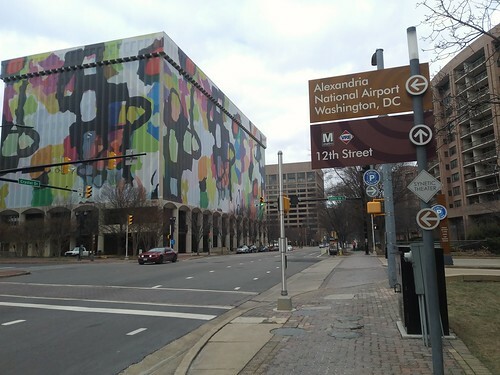 Crystal City has languished as military installation consolidation shifted agencies elsewhere and Columbia Pike lost its spark when in 2014 Arlington cancelled plans to build a streetcar there ("Arlington officials halt efforts on streetcars for Columbia Pike, Crystal City," Post). 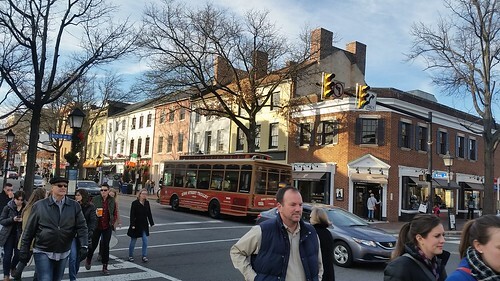 But it has one of the highest used Metrorail stations outside of the center city, as well as rail service via the Virginia Railway Express and it's about one mile from National Airport, and well connected via the Interstate Highway system. And the way that suburban business districts like Crystal City have been working to activate what would be very drab places without the addition of a big dose of creativity ("'Crystal City is so cool': Maybe, but it's not quite D.C.'s Brooklyn," Washington Post; "JBG Smith wraps Crystal City buildings," Washington Business Journal) proves that innovation is not exclusively a center city phenomenon. Crystal City is helped by its closer-in location, just across the river from the center city. The Crystal City Business Improvement District is one of the more innovative BIDs in the region, maybe because they have to work harder because they aren't in DC proper. And Southern Fairfax County, underserved by Metrorail and shaped by automobile-centric land use paradigms, lags other parts of the county that are better connected to rail transit. Landing Amazon should be used to give a renewed push to ongoing revitalization initiatives. 1. The Route 1 Corridor in Arlington. Obviously, the Crystal City/Potomac Yard area will get the bulk of the new business. This will help absorb vacant space existing in CC and drive demand for new construction on fallow and underutilized land including in Pentagon City and Potomac Yard, which also includes part of Alexandria. Like how Signature Theatre has co-located with the Shirlington Library, maybe Arlington could get Amazon to open a cinema where like IFC in New York City, it could be used to show and premiere Amazon television and movie streaming programs. Fairfax has developed a kind of similar program with Capital One and a theatre facility on their new campus that is being developed there ("Fairfax Board signs off on Capital One's big venue," Washington Business Journal). 2. Alexandria's Old Town and Waterfront. There's been a lot of handwringing in Alexandria over competition from new/renewed waterfront districts in DC, the Wharf in Southwest and the Navy Yard in Southeast, along with the ongoing expansion of the National Harbor complex in Prince George's County. Proximity to Crystal City of the city's waterfront district--Arlington doesn't have much in the way of accessible waterfront outside of park space--and the area's most substantive "traditional commercial district" outside of Georgetown in DC provides new economic energy for the city, even though attempts to be more proactive thus far have languished ("Alexandria abandons its Old Town BID quest," Washington Business Journal). But this energy can be harnessed elsewhere and throughout the city, such as in the Eisenhower district. 3. Rosslyn/Rosslyn-Ballston Corridor. Rosslyn will get spillover energy from its proximity to Crystal City. Like CC, Rosslyn markets itself as an "in DC neighborhood that is in Virginia." Plans to make the district over in terms of more 21st century urban design friendly techniques will get a boost. Similarly the R-B Corridor will get renewed life, in the face of the National Science Foundation is decamping for Alexandria ("A follow up example with regard to Metropolitan Revolutions: the National Science Foundation moving to Alexandria," 2013). 4. Shirlington. This Arlington neighborhood will get a boost too, despite having lost some restaurants and other businesses more recently. It doesn't have Metrorail service, but Arlington has worked hard to give the district good bus transit connections, built a nice bus station there, etc. 5. Columbia Pike. CP took a definite hit when Arlington cancelled plans to build a streetcar line there. But with an Amazon bump, the area will likely take off because relatively speaking, land there is still cheaper, right now. Soon enough, not so much. 6. Richmond Highway Corridor, Fairfax County. Economically, this area lags compared to much of Fairfax County, despite its proximity to Fort Belvoir. But lower cost of land could help it land new development, especially given ongoing activity in the area within the transit shed of the Huntington Yellow Line Station, which on the Alexandria side, is where the National Science Foundation is relocating. 7. DC's L'Enfant Plaza area. For the most part, DC won't see much in the way of "new development" from Amazon, but desire to live in the city, but being located three stops away from Crystal City via the Metrorail's Yellow Line without having to transfer could drive more demand for housing in the area around the L'Enfant Plaza Metrorail station. That could help drive forward changes proposed in the Southwest Ecodistrict land use plan, along with other investments such as the soon to open Children's Museum and the relocation of the International Spy Museum, alongside development of the new "Wharf" district on the Southwest Waterfront, which is a short walk or free bus ride to the L'Enfant Metrorail station..
8. Navy Yard/Capitol Riverfront. Demand could extend outward from the L'Enfant area a bit to the new and somewhat adjacent Audi Field soccer district area between The Wharf and the Navy Yard area as well as to the Navy Yard. But it's a bit further away via Metrorail and requires a transfer at L'Enfant from either the Southwest Waterfront station on the Blue/Orange/Silver Lines or the Navy Yard Station on the Green Line. 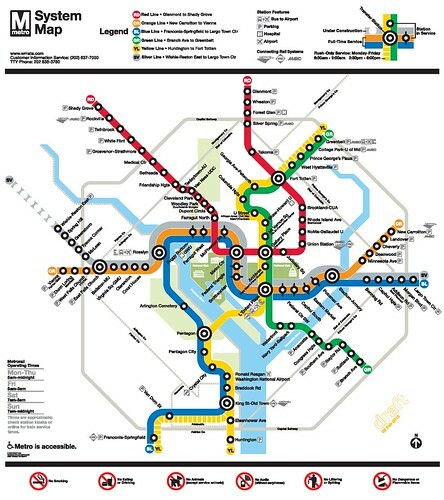 charlie, in a comment on the third piece in this series makes a very good point that DC neighborhoods on the yellow/green Metrorail line through the center of the city could also be attractive to Amazon commuters. This would require that the Yellow Line service run up to Fort Totten full-time. So I added that as a change to the transit recommendations in the third piece. Boston isn't happy about not being picked, given this article in the Boston Globe, "Amazon's new second home: Crystal City is boring, corporate, and perfect for HQ2." a member of the Arlington Transportation Commission has a piece in GGW about complementary improvements.